Update: The $300 Prepaid Visa gift cards from Staples have been out of stock, but are now back in stock! The Chase Ink Business Cash Card is one of the most lucrative Chase cards out there thanks to its ability to earn 5 points per dollar spent. 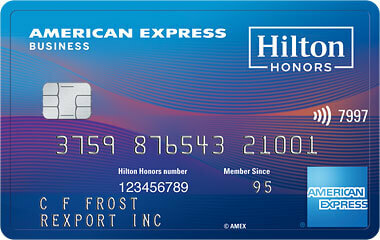 Best of all, the card has a highest ever signup bonus and no annual fee. The Ink Cash card currently offers a signup bonus of $500 in the form of 50,000 Chase Ultimate Rewards points after spending $3,000 within 3 months. The signup bonus is marketed as $500, but it will actually come in the form of 50,000 points which are worth $750-$1,000 when points are transferred into miles with the help of someone in your household having a Chase Sapphire Preferred, Chase Sapphire Reserve, or Chase Ink Business Preferred. Likewise, the Ink Cash card card is marketed as earning 5% and 2% cashback in bonus categories, but it actually earns 5 or 2 Chase Ultimate Rewards points per dollar spent. As each point can be worth 1.5-2 cents each, that means you’ll actually be earning an effective 7.5-10% back on the 5 point categories and 3-4% back on the 2 point categories. 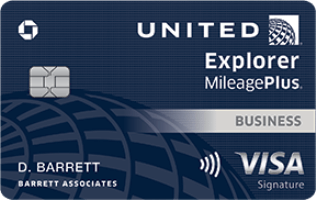 You can use a card like the Chase Ink Unlimited to earn 1.5 points per dollar everywhere (also marketed as 1.5% back, but this card also actually earns more valuable points), but that card doesn’t have any special bonus categories. Currently you can also still get 0% APR on purchases for 12 months on both the Ink Cash card and the Chase Ink Unlimited card. Earning 5 Chase Ultimate Rewards points per dollar on all of your Amazon purchases is pretty sweet! I accomplish that by using my Ink Cash card to buy Amazon gift cards from Office Max, Office Depot, or Staples and then saving the gift cards to my Amazon account where they stack together and never expire. Personally I view that as getting 10% back on my Amazon spending, which makes Ink Cash much stronger than using Amazon’s own credit card for Amazon purchases. Charges made in-store or online at office supply stores, like Office Depot, Office Max, and Staples. Best of all though, you can buy gift cards for hundreds of other stores in office supply stores and on Staples.com. Office supply stores often have sales on gift cards so that you can save even more. Office supply stores also sell Visa and Mastercard gift cards that can be used anywhere. Typically a $200 gift card costs $206.95, which would earn 1,035 points. Those points are worth much more than the $6.95 fee. However those stores also often run promotions that I write about when you can buy the Visa or Mastercard gift cards without paying fees such as this one from Office Depot and this one from Staples. You can also buy a $300 Visa gift card from Staples.com for $308.95. 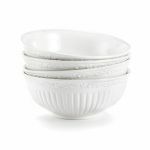 The 1,545 points you’ll earn from the purchase are worth between $23.17 (at a value of 1.5 cents per point) and $30.84 (at a value of 2 cents per point). You can use these gift cards for purchases anywhere, while earning 5 points per dollar! These are the gift cards that I’ve found at my local stores. If you find more please post a comment! 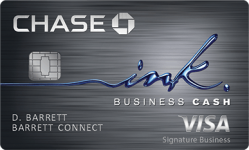 Chase Ink cards such as Chase Ink Cash, Chase Ink Unlimited, and Chase Ink Preferred are also eligible for additional cash back via Visa Savings Edge. 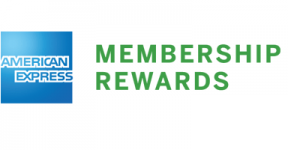 That means you can earn points plus cash back at Chevron, Sheetz, AutoZone, Texaco, Boost Mobilem Alamo, National, MGM hotels, Lenovo, Wyndham hotels, and more. Chase Ink cards are business cards, but you may already have a business that needs a card to keep track of expenses. For example if your name is Joe Smith and you sell items online, or if you have any other side business and want a credit card to better keep track of business expenditures you can open a business credit card for “Joe Smith” as the business. You don’t need to file any messy government paperwork to be allowed to do that. Just be sure to select “Sole Proprietorship” as the business type and just use your social security number in the Tax Identification Number field. However, it’s important to note that business cards from most banks, including Chase business cards, do not get added to your 5/24 count of recently opened cards. That’s because business cards from most banks don’t show up on your personal credit report and the 5/24 count is based off of your personal credit report. That means that applying for Chase Ink cards won’t “hurt” your 5/24 count. While carrying balances on consumer cards can have a very harmful effect on your credit score, because the Ink cards are business cards, those balances won’t hurt your credit score! That makes the 0% APR on purchases for 12 months on a business card a very strong offer. You can cash out your points for 1% cash back. I hope that you won’t do that. If you, an authorized user, or anyone in your household have or will get a Chase Sapphire Preferred, Chase Sapphire Reserve, or Chase Ink Business Preferred your points will be more valuable. All 3 of those cards allow points from all of the Chase cards in your household to be transferred into airline miles or hotel points. The Sapphire Preferred and Ink Preferred cards allow you and anyone in your household to use points at a value of 1.25 cents each towards travel. 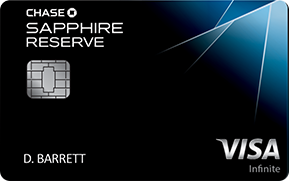 The Sapphire Reserve card allows you and anyone in your household to use points at a value of 1.5 cents each towards travel. 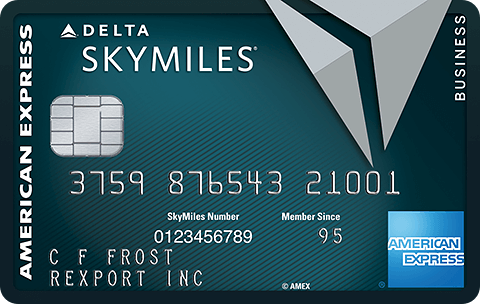 The Ink Cash card can’t transfer points directly into miles, but Chase allows you to transfer points to cards where they can be transferred into miles or redeemed for a greater value. My goal is to receive a value of 2 cents per point via transfers to miles and that makes the 2 point categories worth 4% back and the 5 point categories worth 10% back. Chase points are effectively a “hybrid” currency. You can cash them out for 1 cent each. You can use them for paid travel at a value of 1.25 or 1.5 cents each. 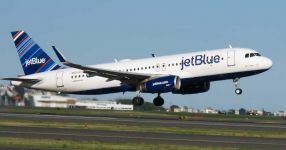 Or you can transfer them into airline miles or hotel points when those programs offer more value. There’s no reason to transfer those points to an airline or hotel program where they will be stuck and can be devalued. You should only transfer them on demand when you can get a great value for the transfer. If I want to stay in a 5 star Park Hyatt in the Maldives, Melbourne, NYC, Paris, Sydney, or Tokyo that would cost over $1,000/night, I can instantly transfer 30K points to Hyatt to do that, a value of 3 to 6 cents per point. If you earn 5 points per dollar and each points is worth 5%, that’s like getting a 25% rebate on your purchase! If I want to stay in a non-chain hotel that costs $300/night and don’t want to pay cash, I can redeem 20K points for the room thanks to my Sapphire Reserve card’s minimum redemption value of 1.5 cents per point. 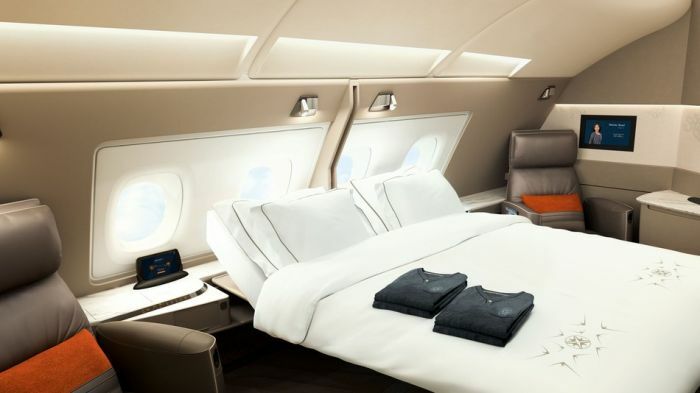 If I want to book a $2,285 business class ticket on Air Canada to Tel Aviv I can redeem 152K points for the flight thanks to my Sapphire Reserve card’s minimum redemption value of 1.5 cents per point. Plus I’ll earn 25K United miles as it’s considered a paid flight. You can read more about creating your own Chase killer card combo here. Do you have a Chase Ink Cash card? 120 Comments On "This Is Why You Should Have An Ink Cash Card: Earning 5 Points Per Dollar On Amazon+More; Master List Of Gift Cards Earning 5x"
By far one of my most valuable cards and one of the main reasons I stick with chase despite the horrific phone customer service. Yup, one of the most valuable cards out there. No annual fee and a sweet signup bonus is the icing on the cake. Haven’t had any customer service issues though. 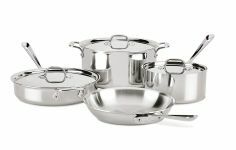 Staples in-store currently advertising 25% off Safeway, among others. But no Safeway cards in my Boston-Area store…probably find them on the Left Coast. For all other purchases it will be 1 point per dollar so effectively it’s better with freedom unlimited for day to do purchases. Correct, unless you use a prepaid Visa earning 5x for everyday purchases. Or use store gift cards. Do you get 2x at Costco Gas? Aside from the Amazon 5% back, is there a reason to get this card if I already have the Chase Ink Preferred? 1. 5 points per dollar is much more than 5% back. 2. Read the post to see where else you earn 5 points per dollar. This would app,y to Target and not using my 5% off target card in place of gift cards, correct? False. Sapphire Preferred and Ink Preferred also work to increase the value. I downgraded my Biz Ink (annual fee) card to a non-AF card, called 521 or something. Does that earn 5 points per D on Amazon? There is Ink Preferred ($95), Ink Cash ($0), and Ink Unlimited ($0). It sounds like you have the Ink Cash card, which is the one in this post. You earn 5x by buying Amazon gift cards at Office Max/Depot or Staples. Where in the terms and conditions does it state that you earn 5% at Amazon?? As the post says, you earn 5 points per dollar at office supply stores. Those stores sell Amazon gift cards that you can save to your Amazon account and stack together for future purchases. Either way, those protections are valuable on some higher end items, but for the vast majority of my purchases I’d rather earn the extra points. When purchasing on Amazon I always feel protected. They’ll make sure to take care of you either way. Regarding buying gift cards for other stores you have a point. How do you get 2 cents out of each mile? is that just with a good redemption? I have the card but am not getting the 5 chase points per dollar spent on amazon what am i doing wrong? Doesn’t say anything about 24 months in offer terms. It’s buried in the fine print when you click on apply. That being said, if you are approved you should get the bonus either way. Please read the post and previous comments. Applied online and got denied, can i try somewhere else ? How many places you wanna try at?? Call Recon? When purchased gift cards, is it possible for people to somehow hack the numbers and use your gift card? If so, is there anyway to get the money back? Gift cards purchased from office supply stores have PINs and are secure. They are not like buying 2nd hand gift cards. Plus, stores like Amazon allow you to bank the gift cards in your account where they are protected. If I got the ink preferred with sign up bonus a year ago will I be able to get the signup bonus on the Ink cash? I still have two of the Ink Business Plus which gives 5X points up to $50,000.00. Would you agree it’s worth holding on to them as Ink Cash is capped at $20,000.00? How much do you spend on 5x categories per year? Actually it depends, is the $25,000 cap on all 5X categories such as phones etc, or on each category. I probably spend is Staples about $20-25,000 yearly alone. Yes, but you would lose out on the signup bonus then. thanks for the info really helpful! you wrote that with the sapphire preferred card you can redeem 500 points for 750 towards travel how do i do that? Go onto the Chase Ultimate Rewards site to book travel. Sapphire Preferred is 1.25 each and Sapphire Reserve is 1.5 cents each. wouldnt that make it worth $625? Yes. Where did I write otherwise? Does the chase portal offer identical pricing and options for airline travel as if I were instead purchasing directly with google flights or other OTAs? It’s powered by Expedia, so it should be the same. I evaluate The Chase points for 1.25×5=6.5 so I will rather go with the simply cash back from Amex that has a 50K Cap (instead of 25 Cap) and only earn 5% cashback. 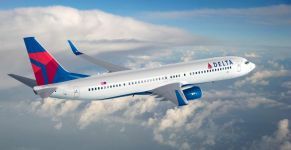 That’s a fine option, but you lose out on the valuable hybrid flexibility that Chase points offer for cashback, paid travel, or transfers to miles. Once points are transferred to the Sapphire reserve/preferred, Ink preferred, can the points no longer be cashed out for cash? They can still be cashed out. 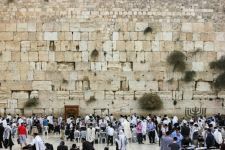 Do you or your family never travel? I have an old ink plus, that has a cap for 5% at 50K. Wondering if it’s worth the $95 AF. I usually don’t get to 25k. Are there any other benefits to having the ink plus? And can I downgrade to the ink cash no AF, or would that require a new application and credit pull? -2X Hotel category instead of dining. You can change Ink Plus to Ink Cash, Preferred, or Unlimited, but you can’t change back to Ink Plus. You won’t get any signup bonus points though, so you may just want to apply for a new Ink card or 2 first and then downgrade. You can, though it can be difficult to get 2 of the same card for the same business. I’m considering between this card and the ink business preferred. Interesting, Why do they name it Cash Back if you receive UR like the preferred? if I downgrade me preferred for an INK cash, can I still apply for the card and get sign up bonus? You should apply first and then downgrade. if i dont have any business at all(not even selling on amazon) am i allowed to get this card? You’re going to need to have some sort of hobby/business to get a business card. Aren’t you getting the same 5% by amazon with the Amex amazon card? without having to buy gift cards? 5 Chase points are worth much more than 5%. When I use them I average 10%. isn’t the Amex 5% back in points? Is it worth to open a business credit card to do balance transfer from a high APR on a personal credit card? Second q. I opened a Wells Fargo credit card thinking also to do balance transfer and they gave me $1500 max. I spoke to recon 2 times and they say since you are new to us we need to build a relation. Does it sound right? Thanks for your hard work on helping all of us. in your points expiration post when you write ba points need 1 point redeemed to extend expiration do member to member transfers under the same household account extend expiration? sorry sorry.. just a bit confused. You get 5 points per dollar when you buy the gift cards at an office supply store. Those points are worth 1.5-2 cents each. I actually don’t value these specific spending categories very highly (I don’t spend much on Amazon), and although the 0% apr in this case is highly valuable, for me it’s not. 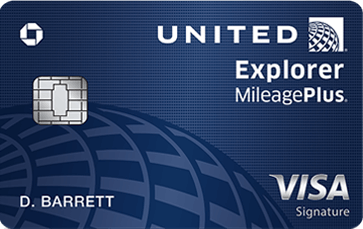 In my opinion, this card and the ink business unlimited is worth it for the 50k UR points with no annual fee. 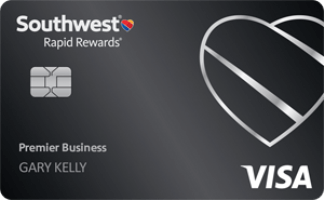 Other than the longtime Sapphire Preferred offer, that has since changed, this seems like the highest value of points you can get on a no annual fee card. So the rumors never panned out? Do you expect them to? Do you think theh may offer a different benefit to outweigh the possible cutting of 0% APR? The 0% APR on balance transfers is dead. But they kept it alive for purchases. Can someone have more than one Ink Cash cards? How does the chase ink cash compare to the Bonvoy business card in terms of earning Marriott points per dollar spent? 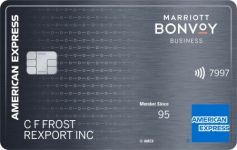 And can the Marriott points transferred from chase be redeemed for all airlines and hotels partnered with Bonvoy? Chase points transfer to Marriott at a 1:1 ratio. 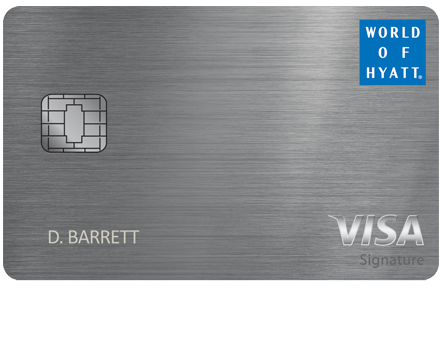 Typically you’ll do better using Chase points to pay for Marriott hotels directly. @Dan Super elementary/random question: If I could earn 2.4% on my savings – what is the detriment to me using this cards, throwing the money in savings and paying it off before the interest starts accruing? I am super organized with my money so I do not think I am at risk of not having the cash and I assume my credit score will recover once the balance is paid in full. Am I missing something? So in addition to all the points a lot of these card will give you an interest free loan for all purchases for a year and so long as you are responsible to you can earn interest on the money that you would have used to pay the bill..seems like an underrated benefit…if someone spends $50k a year they can get all the point benefits plus ~$1k for doing nothing as long as they don’t need the points or a high credit score during that timeframe? That’s correct. In fact, shouldn’t even hurt your personal credit score as Dan said this business card won’t report to your personal credit report. I got the Ink Business Preffered within the last year(july/august).. My wife has the Reserve.. So would i be able to apply for the ink cash now and then downgrade the ink business when the annual fee hits into the ink business unlimited or just close it as I have the Chase freedom unlimited already… And if the reserve is under my wife’s personal account would i be able to transfer my ink business points to her reserve? Can I have ink unlimited and ink cash for the same business? Dan, you say it won’t hurt your credit score, since it’s a business cc, but will it hurt your business credit? What about if it’s sole proprietorship? can you HUCA the recon department? If only they had a personal card for us lowly wage-earners. Turn your hobby into a business? Hey dan thanks to you i have recently opened a chase business ink cash card and I’m not so great at the organizing aspect and not a big traveller. With that being said if we can’t take advantage of the 5 points per Dollar category would it be better to use the capital one spark 2% cash back ? I have that card also as well as the freedom and downgraded the sapphire few years ago. I own a couple of businesses/LLC’S I opened up a while ago the ink cash card as a sole proprietor in order not to have to mess with the paperwork, how should I go about opening another card for another business, Should I submit with a Business name/Tax Id or personal name/social? If you have an LLC then why not do that? understood that its a much easier application/approval if on social with the paperwork etc. So you can do that and explain why you need a 2nd card for different clients, etc. What does the “account anniversary year” terminology mean? Does that mean you don’t get the bonus points for the first year? Or do you only get them at the end of the year? Uses the same terminology for gas, etc. Probably worth noting that I purchased an iTunes gift card from Staples today, only to realize that it’s the physical card, and I’m waiting for it to be delivered. The eGift card section on staples’s website does not have iTunes. Not horrible, but good to know. Foddy! I got the text for this post at the moment i was checking out in staples with $400 Amazon gc’s using my ink card. If I open this card as Sole Partnership, will I be able to manage it online together with all my other cards or I have to a separate online account for business cards? You can manage all of your Chase cards together. I applied at a chase branch for a business card and they refused me because I applied for too many chase cards. To add insult to injury my personal credit got a hard pull. When I called two different times asking why if my business is a corporation did my personal credit get accessed both times I called I was told that only very large companies don’t get their personal credit checked. I’ve been following you for a while and you are very insistent that it is not the case. Where did I go wrong? They certainly check your personal credit to make sure that you’re creditworthy. When you have the card it doesn’t report on your personal credit. Dan with all the respect its nice to get 5 % back on all these stores however if everytime i wanted to buy something i would run to office max my family would starve the thing your not calculating is that this takes a tremendous amount of effort and exhaustion if you focus your mind in the right things you should be able to make more parnassah in the time it takes to do this narish kyten your the best dan and your posts are great for good deals but this one……. Suit yourself. I’m quite happy with all the first class flights I get from this. Hi dan you should add quill.com as getting 5%back its like staples and Office Depot.